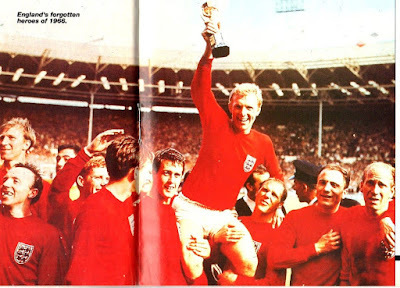 These are about the most Iconic Photographs related the game. These may also be Photographs that have been reproduced in many outlets and have significance. This photo was taken after the 1966 World Cup Final between England and Germany. 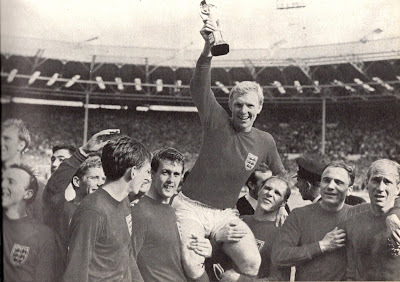 It is England Captain Bobby Moore hoisted by his teammates with the World Cup Trophy. This photograph shows the instant that Dutchman Frank Rijkaard spat on West Germany striker Rudi Voeller. In the lead-up to this action, Rijkaard had been booked for a foul on Voeller and would have been suspended for the next round. After continuous altercation, both players were sent off. 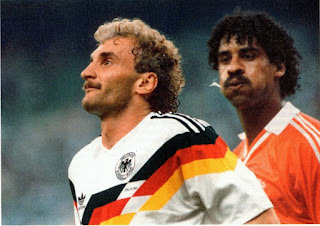 As they were leaving the field, Rijkaard spat on Voeller. It was an English League match between Tottenham and Leeds United. 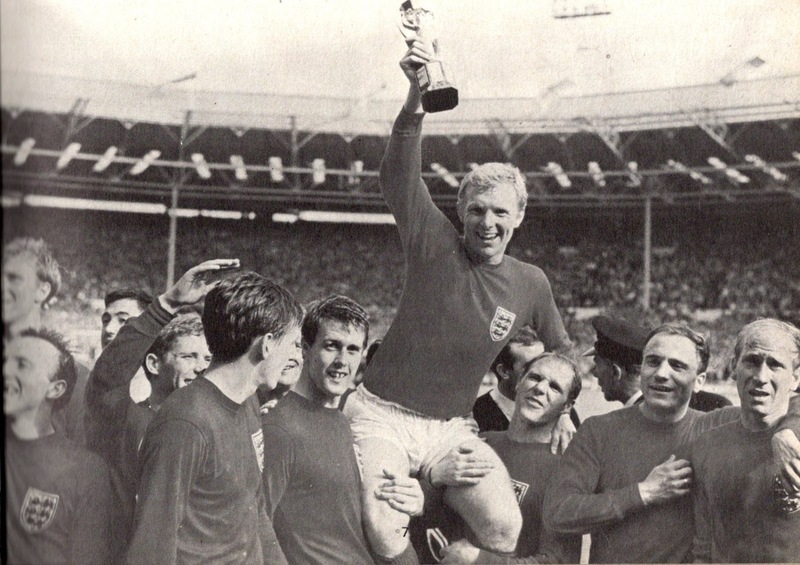 Dave Mackay had recently recovered from breaking the same leg twice in nne months. 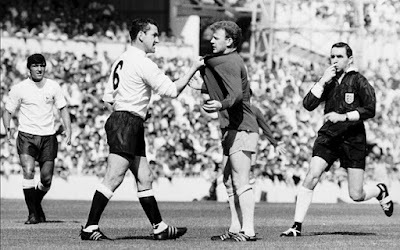 Billy Bremner kicked the same leg during the match and Mackay felt he had done it on purpose and tried to take to take him to task. (August 20, 1966, Tottenham 3-Leeds United 1).